Johnson & Johnson (NYSE: JNJ) is the biggest healthcare company in the U.S in terms of market value. But the stock has been losing value amid concerns around the company’s businesses. Investors are mainly concerned about J&J’s losing traction of its prostate cancer medicine Zytiga and rheumatoid arthritis drug Remicade amid problems of generic competition. Johnson & Johnson is also under pressure amid President Trump’s plans to lower drug prices and lawsuits against asbestos in JNJ’s talcum powder. But we believe these concerns are ephemeral and Johnson & Johnson stock is a long term buy. Johnson & Johnson (NYSE: JNJ) beat estimates for the second quarter. The company saw growth in medical devices business amid a healthy trend in its vision care sales, including contacts and surgical products. J&J’s consumer division revenue also saw growth in the quarter. J&J pharmaceuticals segment, which takes in about half of the company’s revenue, experienced double digit growth of 19.9% in the second quarter of 2018. Overall, the company reported revenue of $20 billion, more than the Street’s estimate of $19.46 billion. The company also upped its full-year sales estimate to a range of $80.5 billion and $81.3 billion, compared to the previous estimates. The new estimate shows an operational growth of 4.5% to 5.5% and an lower favorable impact of currency. The company reiterated its adjusted earnings estimate to between $8.07 and $8.17 per share, which shows an operational growth of 6.8% to 9.6%. Sign-up for our newsletter so you don’t miss any hot investment opportunities. 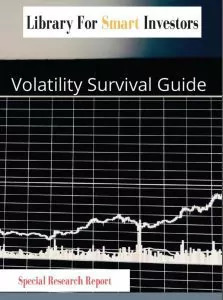 Also download our recently published report absolutely free. Johnson & Johnson (NYSE: JNJ) stock looks cheap. As of July 17, the stocks price-to-earnings ratio of 15.35 times forward earnings estimates. Recently, Matrix Asset Advisors chief investment officer David Katz said that Johnson & Johnson is one of the attractive investment options for the future because it is undervalued. Analysts are also bullish on J&J’s cancer division. The company’s oncology revenue in the first quarter increased by 42% to $2.4 billion. Johnson & Johnson (NYSE: JNJ) is also paying a dividend of 2.9%, which is above the market average. In April, the company announced to increase its dividend by 7%. Johnson & Johnson (NYSE: JNJ) pipeline is healthy and the company will push several drugs in the market with excellent growth potentials. Recently, the company announced to increase its R&D spending by 15%. The company said it will use proceeds from tax relaxations to invest about $30 billion in R&D and capital investments in the U.S. over the next four years. 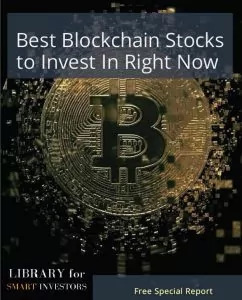 Download our recently published Best Blockchain Stock To Invest In Right Now or Volatility Must Buy Stocks report absolutely free.